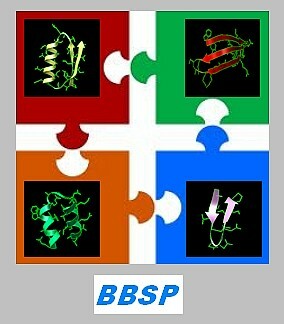 Welcome to the Advanced Computational Biostructural Research Collaboratory (ACBRC) web site. ACBRC is a resource aimed to interact with the Scientific Community in order to share results and tools regarding research activities in Structural Genomics/Proteomics field. 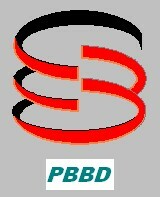 Our effort mainly consists of computational solutions for protein secondary, supersecondary and tertiary structure prediction. Moreover, we propose to identify both protein structural homologues with low sequence identity and superfamily/superfold domains by assembly of elementary building block units in order to collect structural data for molecular theoretical studies. Nevertheless, we are interested to characterize physical and chemical properties of biological macromolecules in order to obtain a better understanding of the laws that rule the folding of polypeptide chains, hence focusing on their corresponding biological structure/function. 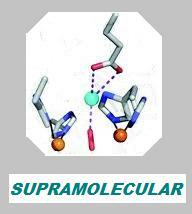 Also, we study supramolecular structure determinants modulating the redox potential Eº of metallo enzymes. Finally, our efforts are aimed to unscramble genomic/proteomic code from scratch by detecting distant evolutionary relationships between protein structural motifs, which could act as the unit of molecular evolution. Therefore, we are eager to collaborate with universities and freelance research scientists to be engaged in projects concerning the research fields outlined above. Our strenght is in our ideas, and our personal skills converge towards a common aim. All our resources are freely available to the Scientific Community. The word protein comes from Greek word protos meaning of primary importance. Proteins are essential parts of organisms: they catalyze biochemical reactions and have a leading role to metabolism. Also, they play both structural and mechanical functions within cells, and are important in cell signalling, immune responses, cell-cell recognition, biomolecular transport, and cell division regulation. The sequence of amino acids in a protein is defined by the sequence of a gene, which is encoded in the genetic code. Although it is relatively simple to characterize the amino acidic sequence of a purified protein, resolving the respective three dimensional structure is not an easy task. The first protein structures were solved in 1958 by Max Perutz and Sir John Cowdery Kendrew by using X-ray diffraction analysis. Common experimental methods for protein structure determination include X-ray crystallography and NMR spectroscopy, both of which can produce information at atomic resolution. Also, both Dual Polarisation Interferometry and Circular Dichroism may provide useful information to protein structure determination, but all those experimental techniques are time consuming and require substantial financial resources. Moreover, several membrane proteins are difficult to crystallize and are underrepresented in the Protein Data Bank. Although an ever growing number of structural data collected by several laboratories is freely available, it is still not possible to design an exact mathematical model for predicting three dimensional structure of proteins, owing to lack of a scientific paradigma. The number of possible protein conformations is extremely wide, and physical/chemical basis of protein structural stability are not fully understood. Computational models aimed to protein structure prediction retain high importance in medicine (i.e. : drug design) as well as in biotechnology (i.e. : design of novel enzymes). Over the past few years, performance of current prediction methods has been assessed in the CASP experiment. Thus, several structural bioinformatics projects aimed both to improve understanding of the laws that govern the macromolecular structure conformation and to speed up the research against several harmful diseases such as cancer and bacterial/viral infections have been developed. 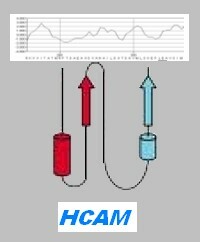 Furthermore, results obtained by such computational methods may improve knowledge in rational protein engineering, hence leading to the design of new highly efficient molecular prototypes, even with functions never before observed in nature, to be used in biomedicine and molecular biology. In addition, design of prototypes may be employed to detect distant evolutionary relationships between members of the protein universe, thus leading to detect connections among folds that can be traced back to the time of the Last Universal Common Ancestor (LUCA). These relationships may lead to assign new functions to uncharacterized proteins to be used in several medical/biotechnology applications.